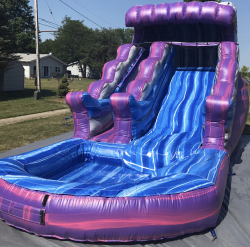 This water slide will give you hours and hours of entertainment. 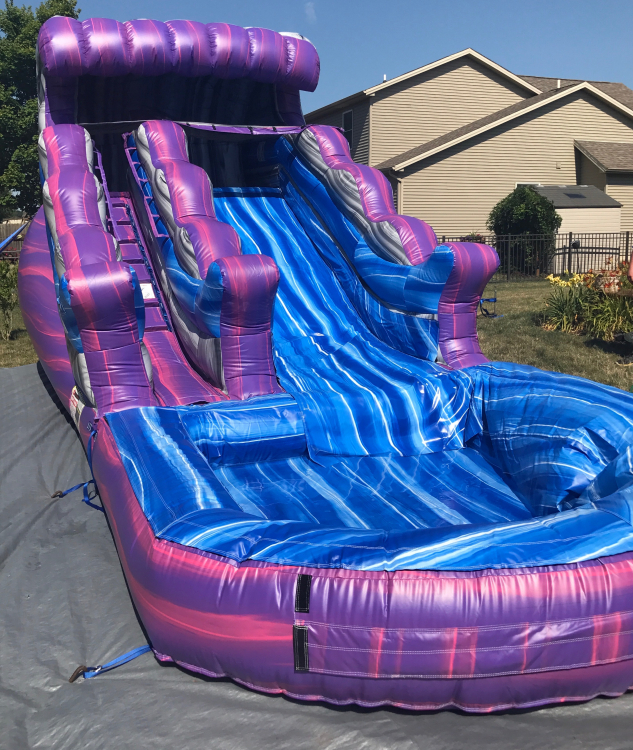 Features a large pool for those hot summer days and to make that splash even cooler when coming down the slide. Our most popular slide rental every year and for god reason. Features soft climbing steps, large slide lane, and perfect for any age group. Pair this with one of our concessions to make it the ultimate party.